The student walkout last Wednesday presented an excellent parenting opportunity. Sadly, a significant number of parents failed to recognize the opportunity. 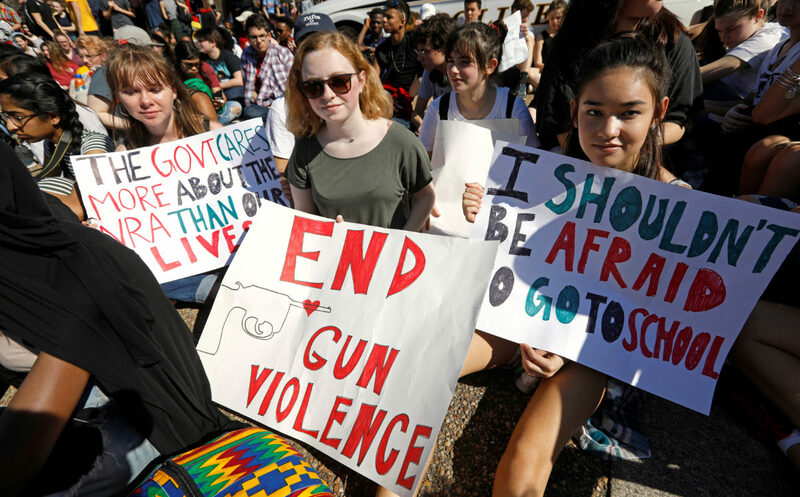 Instead, many of them sided with authoritarian school boards who insisted that any student who walked out of class in honor of the seventeen students killed at Florida’s Parkland high school should receive disciplinary action for his/her outrageous rebellion. Parents had the choice to support this, to teach their kids about the history of protest that forms the foundation of our nation. Our country began as a protest. Important change over the subsequent centuries occurred due to protest, not quiet little acceptable moments condoned by the powers that be, but full-bodied march-in-the-streets, dump-your-damn-tea-overboard protests. This was a chance for parents and community leaders to demonstrate a true understanding of what protest means to our nation. It’s sad to see that so many don’t understand, tragic that so many accept the conditioning to stand quietly and wait for someone to tell you what to do, what to think. It bodes ill for our future that what we seem to be teaching in our schools and homes today focuses on doing what we’re told instead of what is right. Sit in your assigned desk. Don’t talk. Remember to bring a pencil. Stand quietly in line. This is training for lock-step corporate workers, not the thinking adults needed to guide our nation forward in a time of great global change. Where is the critical thinking, the understanding of history, that education is supposed to instill? Yes, the need to stand up for the right thing may have consequences. Many of the students who walked out of class despite draconian threats of suspension and other disciplinary action understood and stood up for their rights anyway. This alone should cheer us all with hope for our collective future. The acceptance and embrace of authoritarianism raised its ugly head last week, a fitting reminder of the mindset that allowed Donald Trump to become president. Above all else, his election to the highest office in our political system reflects this pervasive eagerness for an authority figure who claims to know the right path. This world view reflects the fear of so many who can’t catch up with the times, with a world going too fast for their 19th century brains to understand what is required of them. They don’t like change. So the solution is a strict set of simple rules enforced by a blustering promise-maker. These kids aren’t having it. Thank you, kids. This entry was posted in American Culture, American history, current events and tagged American history, Boston Tea Party, history, march in the streets, Parkland, protest, students, walk-out on March 17, 2018 by Denele Campbell. Old Washington County Courthouse with the jail in the basement. None of the murderers in the Shannon-Fisher feud ever made it to the jail. On Saturday December 19, 1868, young Maurice K. Shannon joined a card game at one of Evansville’s taverns. 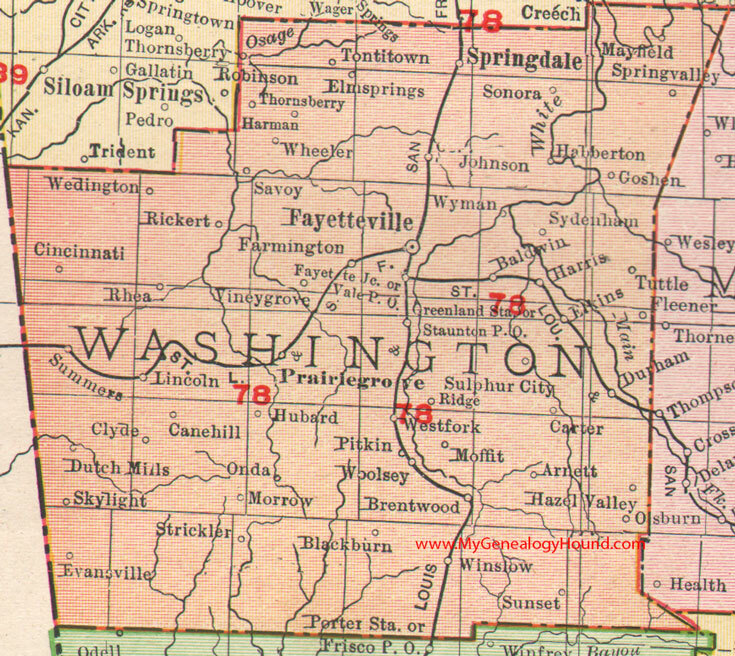 The bustling town in the extreme southwest corner of Washington County sat nearly astride the border between Arkansas and Indian Territory and suffered a rough traffic of traders, cattle rustlers, whiskey smugglers, and other desperadoes who came and went alongside established local farmers and hopeful merchants who enjoyed a thriving commercial trade of everything from guns to gingham. Maurice grew up here, the eighth of twelve children in a thriving pioneer family. Like most young men, he was itching to prove himself. Around the table betting alongside the eager eighteen-year-old were men experienced in games of chance including one known as Major Fisher. As might have been predicted by any worldly-wise onlooker, Maurice suffered a distinct disadvantage in this company and soon exhausted his betting purse. Eager to redeem himself and undoubtedly encouraged by Fisher and company to further his embarrassment, Shannon wagered his horse and its saddle on the next hand. Shamefaced, the boy returned home to suffer the wrath of his father Granville Shannon whose fine personal mount and prized saddle had been the property so casually lost to a game of cards. History fails to describe what punishment might have befallen young Maurice. His father had endured hardship for all of his nearly seventy years and didn’t suffer fools lightly. Soon after his son’s ignominious blunder, Granville rode into Evansville to settle the value of his loss. He demanded Fisher pay him thirty dollars. Bemused, Fisher paid up then put out the word that he wanted full reimbursement from Maurice. Maurice met with Fisher about a week later on December 26th and tried to make his case. He flat didn’t have thirty dollars, an equivalent of $500 in the present day. Exactly what he said to Fisher, whether he offered terms for settlement or accused Fisher of cheating, is not known. Maurice stood at the bar debating his options of which he had few. The older man had no intention of letting him off the hook. Finis Shannon, seven years older than Maurice and concerned about his younger brother’s welfare among these hardened tinhorns, had trailed him into town. Now standing in the tavern doorway, he sized up Fisher where he stood some distance from Maurice. Fisher turned and Finis thought he saw the man draw a gun. Quick to defend his brother, Finis fired and shot Fisher through the head, killing him instantly. Finis Shannon made no effort to escape as people reacted to the shooting. He stood judgment in a hastily called court session before the township’s justice of the peace. After hearing multiple witnesses give evidence for and against and taking into consideration the history of the conflict, the justice found Shannon’s act to be justifiable and he was set free. Thus began a drawn-out affair that would span more than a year of bloody retribution. The infamous John King Fisher of Texas. Is this the man leading the Fisher Gang in Arkansas? According to the story passed down since the time, John K. Fisher, brother of Major Fisher, had been away at the time of the shooting. He and a friend, Calvin Carter, had been ‘south’ to attend some horse races. On his return, John learned of his brother’s death and became outraged that Finis Shannon had gone free. Demanding a higher court of justice, John K. Fisher quickly saw to Shannon’s re-arrest and had him brought to Fayetteville. There, contrary to John’s expectations, the higher court also found Shannon’s act to be justified and set him free. 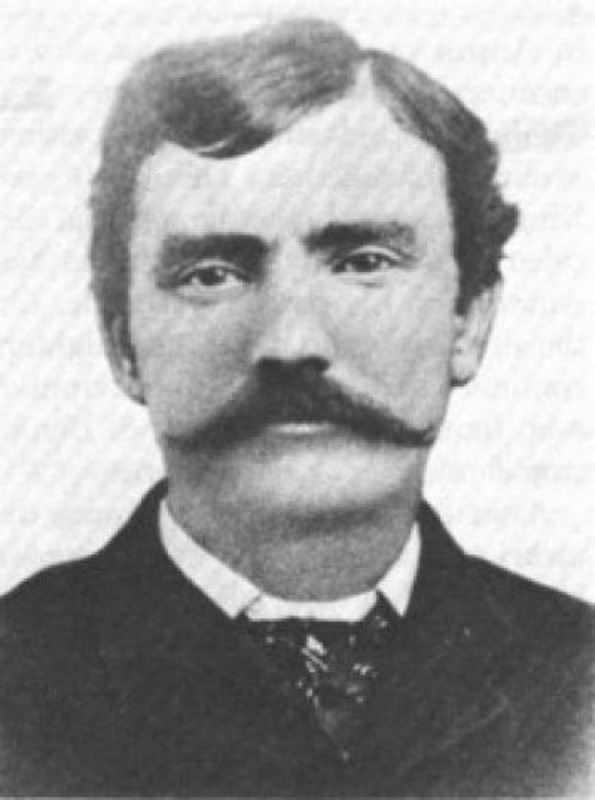 Much of the lore surrounding the Shannon-Fisher feud had to do with the so-called Fisher Gang led by John King Fisher. His right hand men in this gang were Calvin H. Carter, James “Jim” Reed, Charlie Bush, and James Black. In particular, Jim Reed’s involvement has spilled a gallon of printer’s ink due to the fact that he was married to Belle Starr, a woman whose notoriety far exceeded the reality. One account claims that the only reason Reed came into the picture was that his brother William Scott Reed had been killed in one of the original shootouts with the Shannons, and Reed wanted revenge. Scott Reed did die in the upcoming Evansville gun battle, but that’s beside the point. After his failed attempt to put Finis Shannon behind bars for the death of Jarrett Fisher, John K. Fisher made it known around Evansville that he planned to kill Finis. His threat hung in the air as he and his friends lay low. Meanwhile, those close to the Shannon family had risen to Finis’ defense in court as well as in the community and made no effort to hide their disgust with the vigilante justice promised by Fisher. In particular, Finis Shannon’s father-in-law, Dr. J. C. McKinney, had taken it upon himself to advocate for Finis, no doubt in an effort to ease the mind of his distraught daughter who lived in daily fear of Fisher’s promised retribution. The couple’s daughters Laura Alice and Sophie were only three years and one year old. A month after Finis shot Major Fisher, on January 21, 1869, Dr. McKinney made his way along Evansville’s main street to George W. McClure’s store for a few purchases. John K. Fisher spotted him outside, followed him into the store, and after exchanging a few words, shot McKinney through the heart. He walked out as McKinney lay dying in the shopkeeper’s arms. Do you have any information about this feud or the Shannons and Fishers? Please let me know–this is still an active investigation. One court record names him as Major Jarrett Fisher. A corruption of Phineas, ‘Finis’ is but one of several spellings found in historical records for this man. Also found is Fins, Finas, Finias, Finius, Finies, and Fines. Jacket 68, pp 570-578 and p 241. Defendant Jacket Files for U. S. District Court Western Division of Arkansas, Fort Smith Division, 1866-1900. Records of District Courts of the United States 1685-2004, ARC ID: 201532. Record Group Number 21. The National Archives at Fort Worth, Fort Worth, Texas, U.S.A.
 Glenn Shirley’s account states that “On February 12, 1869, Finnis M. Shannon swore a writ against Fisher, Carter, Bush, and Black for introducing spirituous liquors into the Indian country, a crime for which Shannon had been arrested many times by Fort Smith federal marshals. In response to this capias, Deputy Marshal B. F. Little ‘proceeded to the Indian Nation’ with a posse of four men and ‘was gone in constant and active search for thirty-six days’ without finding his quarry.” Shirley has it wrong. Up until this time, Shannon had never been arrested. Evansville in lower left corner of the county. Map circa 1909. Oklahoma to the left of the state line. This village was named in honor of Capt. Lewis Evans, who opened a store there about 1830. He was succeeded by Charles McClellan, and about 1838 a flood of merchants came in, bringing large stocks of goods to sell to the immigrant Cherokees, to whom large sums of money were due from the Government. As payment was delayed for fifteen years, many of these merchants failed, and the business interests of the town were seriously impaired. Soon after the town was laid off, Leonard Schuler established a tan-yard, the most extensive ever in the county. A horse-mill was built by Evans soon after he opened his store, and for a short time it supplied nearly the whole county with meal. There are now in the town two steam saw and grist mills, with cotton gins attached. The first was erected by C. E. Rose, in 1870, and the other by Littlejohn & McCormick, about five years ago. 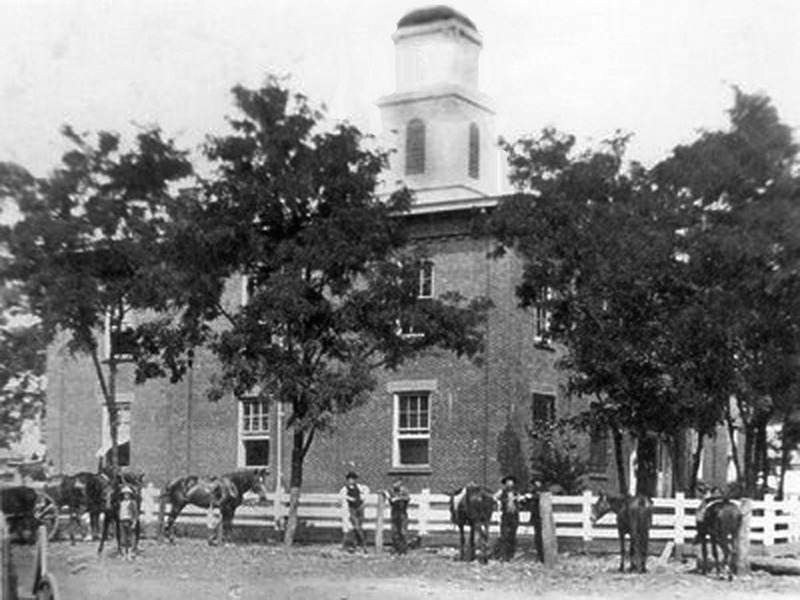 The first schools in Evansville were taught by Allen M. Scott, who was succeeded by Mrs. Dr. Bartlett. For four years, from about 1874 to 1878, a graded school was maintained, but it has since been abandoned. The business interests of the town are now represented by the following firms: J. A. Bacon, Basham & Goodrich, J. M. Chandler, J. R. Flinn, F. N. & N. B. Littlejohn and G. W. McClure, general stores; L. W. Rosser, cabinet maker; W. L. Childress, cabinet and wagon maker, and J. C. Ferguson, wagon maker. About one mile north of Evansville is a little village known as Greersburg, containing a store, a blacksmith shop, carpenter shop, a Masonic lodge and a school-house. No known images of 19th century Evansville exist. This entry was posted in American history, Local History, Old West and tagged Arkansas, Evansville, feud, Fisher, frontier justice, gunfight, history, John King Fisher, Old West, Shannon, shootout, vigilante, Washington County Arkansas on January 28, 2018 by Denele Campbell. I’m enjoying reading posts on a Facebook group page I’ve discovered, Legends of the Old West. Stories on just about everything the Old West had to offer, most recently a piece on George Maledon, the “Prince of Hangmen.” Reportedly holding the record for executing the most men, Maledon worked for Hanging Judge Parker at Fort Smith from the mid 1870s to the 1890s. Lots of fascinating details in the article. The photo posted here is also from the Legends page. 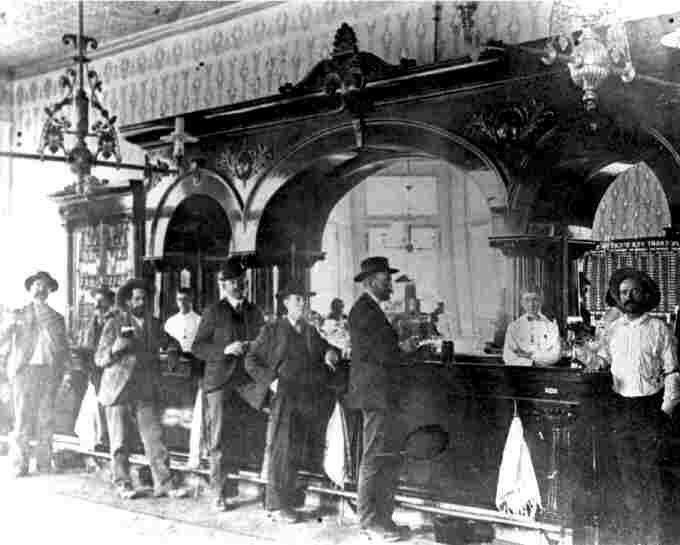 It’s the Crystal Palace Saloon, Tombstone, 1880. Tell them I sent you. 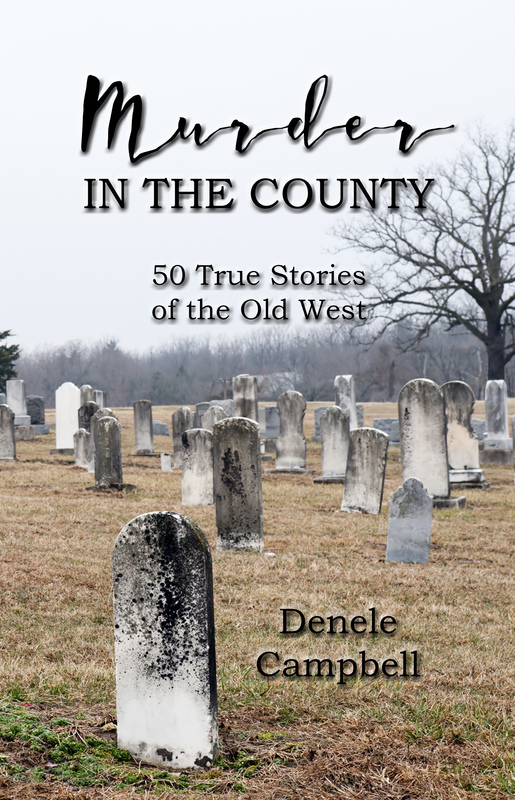 This entry was posted in American Culture, American history, Local History, Old West and tagged executions, Facebook groups, Fort Smith, Hanging Judge, history, Old West on November 11, 2017 by Denele Campbell. Some Facebook posts circulating since the Paris tragedy voice outrage that the U.S. and its allies failed to stop ISIS at its inception. To those I ask what, pray tell, was the beginning? Was it during the three hundred years of Crusades when Western European Christians invaded the Middle East to drive out Islam? Was it after WWI when the Western powers reorganized the colonized Middle East, shifting borders to suit the desires of various Western nations regardless of existing ethnic, tribal, or religious boundaries? Was it after WWII when Western powers again reorganized Arab lands, shoving the Palestinians aside to carve out a homeland for the Jews? Couldn’t we have predicted that Arabs would resist? Perhaps that would have been the best time to nuke the whole region. Was it when we armed the Afghan Mujaheddin in the 1980s to help them overthrow Soviet occupation? Couldn’t we have predicted that once the Cold War ended, we would abandon Afghanistan and leave tribal leaders like Osama bin Laden to take what he’d been taught to organize his devastated homeland. Was it when we marched into Iraq, toppling the strong man government of Saddam Hussein and unleashing sectarian violence between Sunnis and Shias? Was it when the 2011 Arab spring spread from Egypt through other Middle Eastern nations and Syria’s President Assad fought back against his nation’s rebellion? The U.S. and allies hurried into Syria with support and secret ‘advisors’ to assist the rebels, bringing in sophisticated arms and other supplies that are now in the hands of ISIS. Gee, how could we have guessed? The claim that the U. S. could have inflicted a fatal incisive strike against ISIS at any point along this tortured path shows ignorance and a single-minded obsession to heap criticism on President Obama. ISIS has never existed as a discrete target. 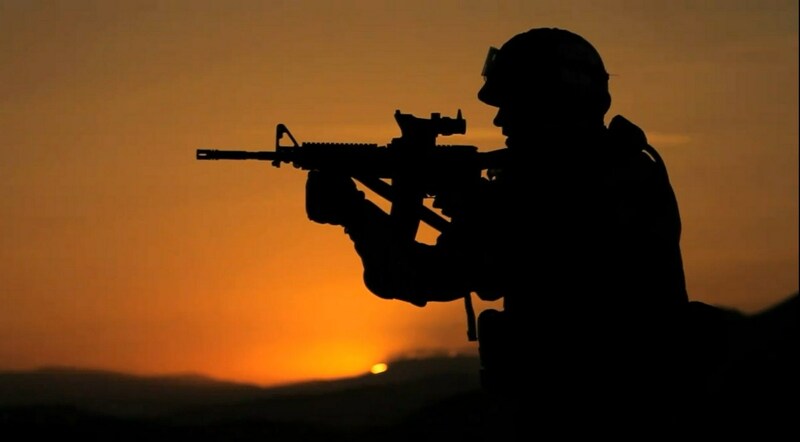 Any attack on ISIS would result in massive collateral damage. The entire mess points to one overarching conclusion: the more we intervene in the Middle East, the worse things get. We’re good at meddling in other people’s affairs. At what point do we have an honest national dialogue centered on the question: Why are we in the Middle East at all? Why not just hand all that arms money over to the arms dealers and let them keep the weapons? Are we getting what we paid for? If the objective is to keep the region destabilized so that we can maintain a level of control over the oil, yes. If the objective is to undermine Arab strength in order to further prop up Israel, yes. We continue to send billions of dollars of foreign aid to the region, larding the already excessive oil profits lining the pockets of the region’s leaders. With all that money, leaders so inclined can invest in distant terrorists or add to their nation’s arsenal by purchasing arms and equipment manufactured in Western nations. Supporters of Israel dismiss dollar amounts because their agenda is religious. People concerned about U. S. energy profits dismiss dollar amounts because their agenda is oil. Both groups fail to recognize the larger agenda behind their pet projects: money. Just six days ago, the columnist citing this wisdom called for an end to all but humanitarian aid to foreign nations. He’s not alone. rescind and renegotiate any treaties with other nations so that any and all foreign aid is in the form of food, educational materials, medical supplies, and other humanitarian assistance. Why not? It’s the only thing we haven’t tried. This entry was posted in current events, Morality, Religion, Uncategorized and tagged bomb, guns, history, Middle East, Paris, violence, war, weapons on November 15, 2015 by Denele Campbell. I could spend ten lifetimes reading the stories of humankind and still not know enough. Sumeria, Greece, Egypt, Rome. China: the Records of the Grand Historian, Bamboo Annals, the Five Classics. Popol Vuh. Genghis Khan. Charlemagne. Tesla. Secret writings of ancient and medieval women. I could spend ten lifetimes carrying out the ambitions of various parts of myself and still not do it all or well enough. Art—the swirl of vibrant color on thick white paper. Music—Bach fugue played a nine-foot grand. Literature—a turn of phrase that takes away breath, stories that ache to be told. Plant, cultivate, and harvest, dry, freeze, slice—onion and butter sizzle in a hot iron skillet, ready for potato. Goats— chewing alfalfa hay at the barn door, watching me with yellow slit eyes. Weave and sew fine cloth, yards of it filling my arms. Gather fallen twigs to kindle a fire, add more wood and watch the flames spread, leap, fall to pulsing coals and pale ash. I could love ten thousand men and a thousand women and still not have loved enough. Never have touched enough soft skin. Never have kissed enough lips or marveled enough at the mingling of color in the iris of an eye. Lens to the soul I worship with my body. With endless days would come endless shapes of clouds racing across the sky, dark and turbulent rolling in with thunder, thin wisps high in frozen air. Rain lash the walls, wind bend the trees. Deep in the forest an open glade glows chartreuse. Sun sears dry ground, bakes the insects scuttling for shade. Hoar frost coats the grass and fence wire, forms iridescent lace of spider webs. Snow drifts down at dawn, five degrees and the air is blue. In these things and countless more, the joy of physical being fills my heart, tells me why I exist. More than the grief, the suffering, the despair, it is the supreme excellence of incarnation that drives me to my stubborn end. This entry was posted in Uncategorized and tagged creativity, curiosity, desire, happiness, history, incarnation, joy, life, love, mankind, mortality, physical existence, pleasure on June 18, 2015 by Denele Campbell. A thousand miles away, removed by harvest, processing, manufacture, and the long wait on some store’s shelf, the fabric retains the aroma of its origins. There is the faint trace of vegetation, chlorophyll of its rusty green leaves, and fibrous texture of its stem. There is sun beating down on the surface of the plant, the growing bolls, the dark earth enclosing its hungry roots. What hands, what machines, have planted the small black seed in fresh tilled ground? Thick round bolls swell ever more white in the steamy rain, the rise and fall of the moon, the passing of weeks toward harvest. Its heart bursts open, waiting to serve its purpose, giving itself to whatever the world might make of it. Cotton is content in its life. The sheet remembers its beginning. Languorous in summer heat, in the hot breeze, it undulates slowly on the clothesline before falling again to its resting profile. Blinding white, it welcomes the sun to bake it clean, to stiffen its threads, to remind it of its birth. At the ironing board, pungent with starch, the cloth gives up its moisture in clouds of steam. Slowly, the heavy metal appliance presses the shirt stiff, its clever tailoring sharp at collar tips and cuff edges, its shiny buttons evenly placed down the front and held firmly in the grip of cotton thread. Ready now for hands, for the body that will wear it, even after hours of moving as its wearer moves, absorbing sweat and pain and fatigue, the shirt embodies its natural grace. The scent of cotton cloth rises from the heat of the body, reminding itself and the person whose body it covers that it is of the land, the sun, the wind. Night settles gently through the countryside, bringing its tired wanderers to rest. Upon cotton sheets they lie, sheets embedded with afternoon breeze, warmth of sun, the comfort of soft dirt fields loose and gentle underneath them as they drift off to sleep. The cloth yields its memory as the fabric pulls close around the face, the shoulders, of its burden. Months pass, years, night after night, day after day as the fabric is washed and dried, starched and ironed, stretched and pulled in daily lives, humanity’s ongoing race to gain, to finish, to understand. Cotton waits patiently in the towel, the robe, the socks and undergarments, as it gives itself to service. Its thick folds stand at the window, guarding against cold and sun, against storm. Its flexible material waits in the locker ready to run. Its woven pile lies on the couch, soft and nurturing. Even when cotton’s long life begins to fray, wear thin, tatter, and the shirt can no longer be worn, the sheet no longer useable on the bed, cotton continues to clean windows, mop the floor, wipe up spills. Even there it finds long life, continues to yield its peculiar memory of its genesis as a young plant, its unique ability to absorb moisture, move pliantly, take up tiny particles and release them again, giving according to the need. 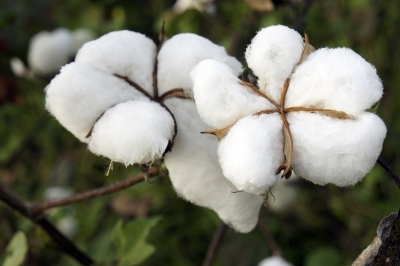 And when all has been given, when the life of the fabric ends, cotton moves on. Processed again, it becomes paper. Rich white sheets of paper wait for the word, the number, that serves the user, the future, with its memory. Cotton, still redolent of its birth, its perfume carrying forth in nuances of earth, sun, sky, waits for the hand. 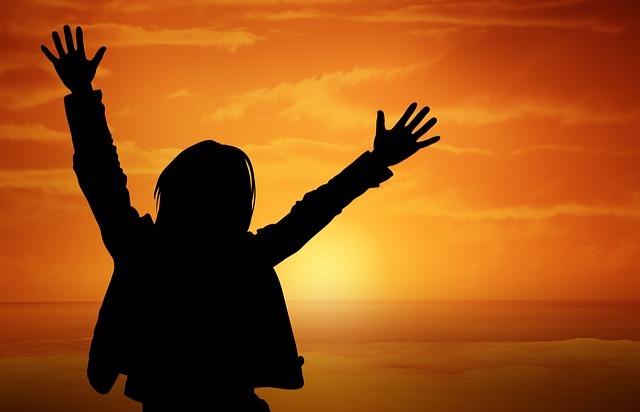 On paper, the writer gains insight and purpose, reflects on the meaning. What revelations of man, what declarations of intent, of civilization, take up life on cotton paper, become immortal and await the next incarnation? Even then, the scent of cotton stirs faintly as the pen crosses its breast. This entry was posted in Uncategorized and tagged civilization, clothing, comfort, Cotton, Fibers, history, human needs, Natural, plants, Shirt, Textile on October 31, 2013 by Denele Campbell.